One important part of branding is the image you yourself portray. Developing a likeable personal brand is essential for succeeding. If you want to rise to the top of your particular arena, you need to first be able to sell yourself to your potential customers. Think about it. Would you rather do business with a person who smiles and comes across as friendly or with one who snarls and ignores you? The first impression a potential customer receives is from you. Make it a good one. How can you accomplish Personal Branding? Become a great communicator. Research shows communications skill is the top determinant for upward social and professional mobility. Draft a marketing plan for yourself annually, and review it quarterly. Include specific goals, strategies, action steps, and a timetable. Develop an ‘elevator speech.” Within the time that it takes an elevator to travel one floor – about 60-seconds – be able to deliver a succinct description of what you do, how you do it differently, and the benefit it provides. Build your Rolodex. Make new business contacts and stay in touch with them. Most people with powerful brands have powerful friends. Balance your individual style with clothing that will appeal to those you are trying to impress. Learn good business and social etiquette. Buy elegant personal stationery and send hand-written notes. Give something back. Giving your time, talent, and money to charitable causes is a brand-builder especially when it complements your brand strategy. Find a cause you are passionate about. Your personal brand is one of your greatest business assets. Put as much time and effort into it as you do in branding your product. In the end, if you can’t sell yourself, you’ll find it nearly impossible to sell your product. Personal Branding is about honing your skills, narrowing your focus, and getting clear on what you’re passionate about. Branding is not just about you being better than your competition. It’s about getting your prospects to choose you as the ONLY solution to their problem. One of the greatest benefits to you of having a strong brand is that it creates a sense of individuality and “separateness” in the marketplace so that your clients are able to easily differentiate your company from your competitors. 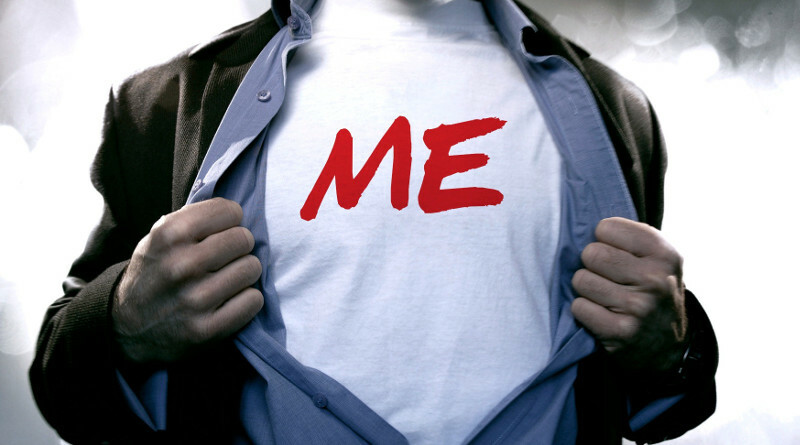 The goal of personal branding is to be known for who you are as a person and what you stand for. Your brand is a reflection of who you are, your opinions, values, and beliefs that are visibly expressed by what you say and do, and how you do it. The branding process allows you to take control of your identity and influence the perception others will have about you and the services you offer. A strong personal brand will enable you to effortlessly attract clients and opportunities. You will position yourself in the mind of your marketplace as THE service provider of choice to dominate your market and command higher fees – work less and make more! Establish yourself as an expert and become a celebrity in your area of specialty. Gain name recognition in your area of expertise where it counts the most – in your customer’s mind. Make a lasting impression and be super-rewarded for your individuality. Trust, respect, and admiration will follow when your name and message are embedded repeatedly into the consciousness of your target market. You will be perceived as an expert the more you are visible to your target audience. Your brand will propel you to the top in your marketplace. Branding is much more than just a thoughtful logo or slogan and it’s more than just a unique color scheme. Below are the initial steps that need to be taken in order to start your successful brand image. One of the keys to creating a successful brand image is to separate yourself from your competition. You will need to know how consumers see your competition. You need to recognize how your competitors differentiate themselves from others. Also, you should know your competitor’s strengths and weaknesses. Your business can benefit from knowing this information by learning from their weaknesses, and learning how to differentiate your company from the competition. Now that you know your competition’s weaknesses you can begin to focus on your company’s strengths. Perform a target market analysis, learn from it, and use it to your advantage. This is a useful tool to confirm your company’s strengths are in fact important to your target market. Once you’ve realized your strengths, and what strengths are important to customers, you can think about ways to successfully market these to the public and involve them in your branding campaign. Learn more about the customer. Know their purchasing behavior. How often do they buy? Do they buy only during sales or promotions? Do they buy an array of products or services or just a select few? These are questions you should ask to better market to your customers. Also, know your customer’s lifestyles, needs, mindsets, and attitudes. Knowing and working with these personality traits are also key to marketing success. Make sure your company truly represents what your brand identifies you with. For example, if one of the traits your brand identifies your company with is politeness, be polite. This means every employee from the receptionist all the way up to the CEO needs to live your brand. Be True to Yourself and Your Personal Branding. If your online marketing material stimulates an image in your mind that is just not you, likely you’ve been trying to model your approach after someone else or you’ve been using work produced by someone else without giving them the benefit of knowing you, learning your approach, sharing your ideas and interjecting your personality into the material. The solution to this dilemma is to be yourself and let your personality show through in your online marketing materials. If you are writing a blog entry in the midst of a snowstorm and it is “a bit nippy outside” don’t hesitate to say so. When you let your personality shine your image will be your own, not one you have crafted that will change from day to day depending upon what you have read most recently. There’s lots of talk about branding in regard to online marketing. The basic principles of branding are to decide on the image you wish to portray and what message you want to drive home. While some people could write a book on how to brand your business, there are really only a handful of factors to consider – your image, your purpose and your message. The purpose of a brand is to craft something that will stick in the minds of people and help them to remember your business. Creating and building a strong brand does not have to compromise your personality. The only real decision is whether you want to be casual or professional. In the world of online marketing, retaining your personality and your identity will go far in branding your business. You’ll be much happier with the long-term effects of your online marketing if you don’t try to be someone you are not. Be yourself and have fun. Establishing yourself as an expert in your field will help you gain both recognition and respect. Luckily, that recognition and respect transfers directly to your company. If people trust that you truly know what you are talking about, they will feel good about investing in your product. A website is the best place to start. Build a professional looking site with sound and informative content and you’ll have a source of expert information to direct customers to. Remember that it is okay to give away some of your precious knowledge free of charge. Offer the customer something useful up front and they will label you as a legitimate source to go to for whatever your company may offer. Article marketing is an especially effective method to achieve that expert status because it gives you the ability to distribute a small number of articles to a huge number of content-rich sites. The more places your name pops up, the more people will be exposed to your site and product. Another way to show your expertise is through online forums and blogs. This is a bit more casual than article writing. It allows you to remain in the first person and talk candidly with interested web surfers. The conversational tone used in such settings will put many potential customers at ease. Not only will they view you as an expert, they’ll also feel connected to you as a real human being. Also, such places give customers the opportunity to ask questions and give you the opportunity to back up your product in the face of criticism. Find the right places to gain recognition. Put yourself out there and command respect through that exposure. Highlight your achievements and successes. Branding yourself as an expert is all about getting other people to recognize something about you that you already know. Have You Been Branded? Checking your Personal Branding. The personal brand you project affects others’ decisions as to your intelligence, character and ability, and determines whether or not they want to do business with you. The way you dress (and act) has a remarkable impact on the people you meet professionally and socially. This greatly affects how they treat you. Humans think with their eyes. A UCLA study proves that 85% of all decisions are made with our eyes. That’s right: the visual you have has the most impact If your personal brand is not professional and congruent, attractive and attracting you will be passed over – guaranteed. To be competitive, to have a greater influence on others, to attract more business and be more successful it’s essential that you develop a well-thought-out personal brand. Before you sell anything — your product, company or service — you sell yourself first. Shift the balance of power in your favor. When you brand yourself correctly, you are seen as more desirable and in demand. Now take large, successful companies for instance. These companies understand the power of “branding” a product. They spend a lot of time, money and energy to create a “brand” that is eye catching and appealing enough to sell their product through to market. They want to make sure that the buyer has a strong connection with that brand. Now think of yourself as a company with one employee – you. How much time, money and energy have you spent in developing a “personal brand” that is unique enough to sell through to your market? An individual who has a well-defined personal brand has more status and a tremendous advantage over the competition in the market place. With a great personal brand, you are already half sold and thus far above the competition. Dream Of Bed Meaning – Interpretation of your dreams.